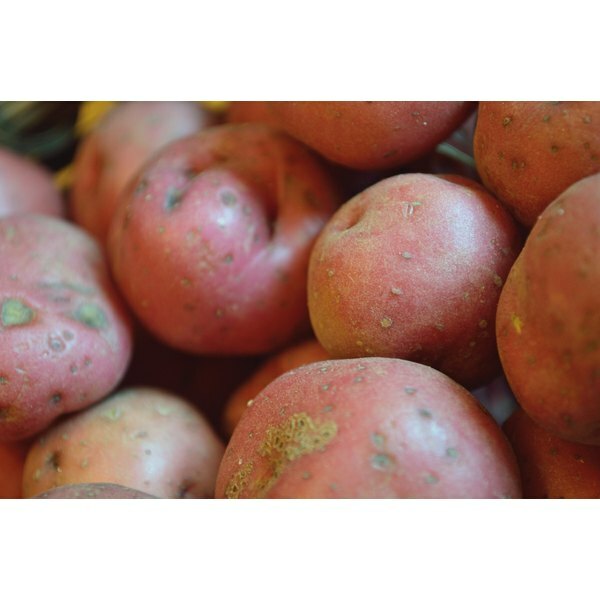 Petite red potatoes are red potatoes that were harvested early in the season when they were still small or they might be a red potato bred to remain small. Petite red potatoes have thin, edible skins and a sweet, mild flavor. They cook quickly because of their small size and are suitable for roasting, grilling, mashing or boiling. Use them in potato salads or soups, as well. Wash the potatoes thoroughly and scrub them with a vegetable brush. Cut out any blemishes with a paring knife. Peeling petite red potatoes is unnecessary. Cut the potatoes in half with a paring knife. 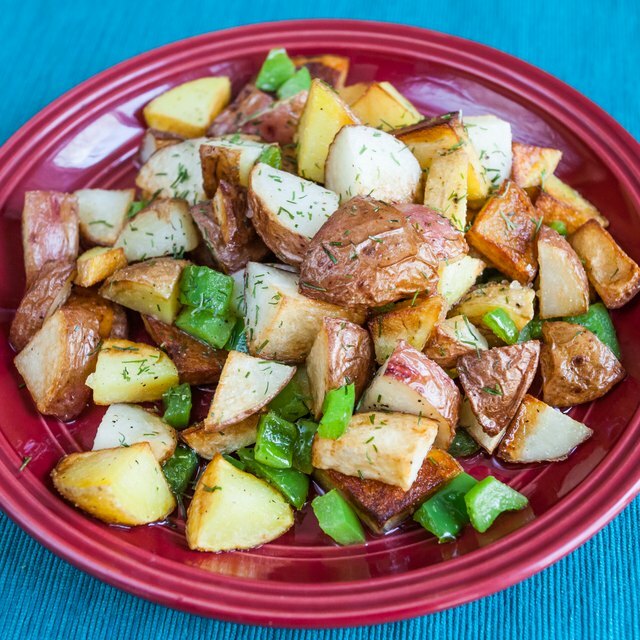 Pour the potatoes in a bowl and mix them with olive oil, kosher salt, pepper, garlic and rosemary. Place the potatoes on a baking sheet and bake them at 425 degrees Fahrenheit. for 15 to 30 minutes until they are crisp on the outside, tender on the inside, and golden-brown. Place the potatoes and 1 tsp. salt in a saucepan and cover the potatoes with 1 inch of water. Cover the potatoes and heat them on medium-high heat until simmering. Cook them for 15 to 20 minutes until they are tender when pierced with a fork. Drain the potatoes and serve them with butter, dill, or a splash of vinegar. Place the petite potatoes on a shallow microwaveable dish. Prick them with a fork to release steam during cooking. Cook the potatoes four to five minutes, or until tender, stirring them halfway through the cooking time. Serve them immediately, or to add a smoky flavor, grill them. Spray a grill basket with a non-stick cooking spray. Add the cooked potatoes and spray them with the cooking spray, as well. Grill the potatoes for 10 minutes, or until they are crispy and golden, stirring frequently. Petite red potatoes are usually small enough that they can be cooked whole. Cut them in half, though, if you prefer for soups and potato salad. Drain and mash boiled potatoes for country-style mashed potatoes. Add milk or cream, dill, and salt and pepper to taste.